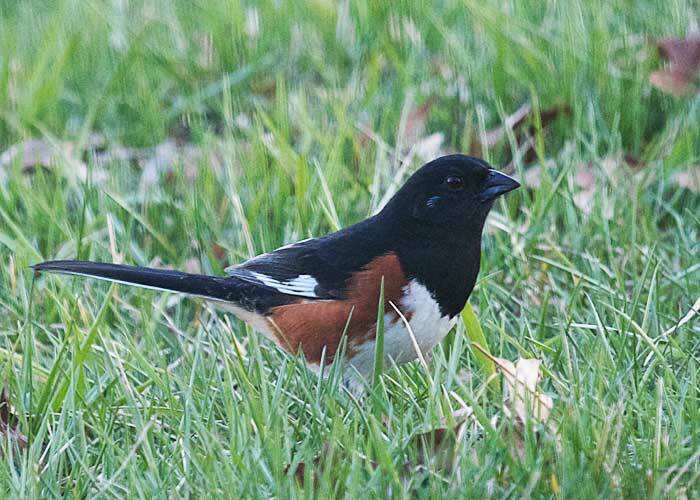 As the evening turns dusky, an eastern towhee picks through the grass and last year's leaves, scratching for edibles. I'm happy to see he's returned again now that winter is over. And I'm glad this bit of Iowa offers what towhees need in order to settle in for another nesting season.